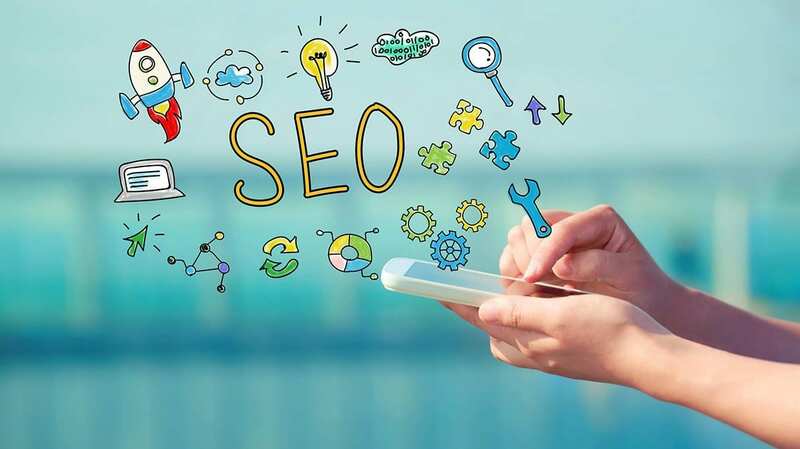 The way search engine optimization (SEO) should be applied to a website is changing all the time, especially with modern technologies and gadgets that allow users to search anything using their voice instead of typing. This is where voice search optimization comes into play and becomes useful to know about in our ever-changing world of advanced technology. In this article, we’ll explain what voice search optimization is and why it’s important for internet marketing. Voice search optimization is the process of optimizing your websites (or if you’re in digital marketing – your clients’ websites) content so that when people use their voice to ask a relevant question, your website ranks top 10, ideally, the first one. Voice assistants use natural language processing, which means that they learn about the user that speaks to them and presents them with unique results that are tailored to them. Unlike keyword phrases that are physically typed into searches on a computer, voice searches are more natural and conversational. This means that naturally, voice searches will be a lot longer. The comScore © has predicted that by 2020, half of all searches will be by voice. This means that people will be using their voice assistants like Siri, Cortana and Alexa to easily find what they’re looking for. It could be that they’re looking for their closest hairdressing salon or they might just want to quickly pull up their local news and weather. One thing that you must remember is that voice searches don’t usually present a list of results to the user, they have their own method to decide which result is most relevant and then they’ll present just that result. It’s important to realize that when using voice search optimization, you will either rank first, or you won’t rank at all. What’s The Difference Between Each Voice Assistant? Google Assistant uses Google Search to pull up results, as you might have guessed. Results are typically pulled from the top, organic listing. Siri also uses Google Search (as of September 2017, previously Bing) to pull general queries but they use Apple Maps for local businesses. If you haven’t already, it’s a great idea to register your business with Apple Maps. Cortana uses Bing which isn’t the most popular search engine around but it’s still up there with the main three. Alexa is a voice assistant app that uses its own database of knowledge when answering queries but still depends on Bing as a backup. Bixby by Samsung can’t currently search for information like it’s competitors can. To summarise, most personal assistant apps use Google Search as their main source of information. This doesn’t mean that Bing should be disregarded though, as a lot of people have Microsoft devices and therefore, have access to Cortana. As technology advances and improves, the younger generation will naturally adopt the new technology and embrace it, which includes voice searches. Statistically, there’s a huge margin between young users and users from any other age bracket. There’s always been a slight stigma when using hands-free devices in public, but as the younger generation continue to use these devices on daily basis, they’re becoming more socially acceptable and comfort levels have risen. Different people prefer to use different devices to perform their voice searches, but as most devices now come equipped with voice searching technology straight out of the box, it’s readily available to use by most of the population. And the best part is, all they have to do is press a button or say a certain phrase to activate voice search e.g. “Hey Siri!” as used on Apple devices. Whether you’re a mobile app developer or a digital marketing expert, voice search optimization is something that you need to do to ensure that when somebody asks a question hands-free, your content is presented. I mean, it’s not the end of the world – voice search won’t take over keyword search just like mobile didn’t take over the desktop. It’s just a lot more convenient to speak to a virtual assistant and ask a question rather than powering on a desktop or typing manually on a handheld device. People generally speak a lot faster than they can type. If the prediction is correct that half of all searches will be asked by using voice in the near future then it’s definitely worth thinking about implementing into your content. Before long, your competitors will be doing the exact same thing, only you’ll have a head start. Because times are changing and each year even more advanced technology hits the shelves – website owners, digital marketers and developers of mobile apps need to change the way they present their content. Most newly released devices come with built-in voice assistants which the younger generation seem to love and by 2020 half of all searches will be made by using their voice, therefore, it’s absolutely essential to change ahead of the times and start looking at changing for the better.